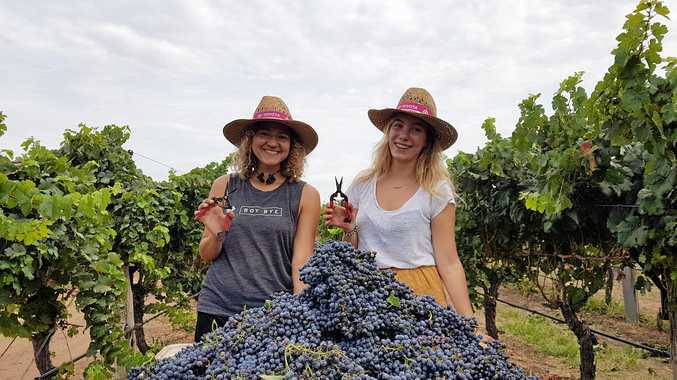 FOR most living off the land, the hot and dry summer has been devastating, but for David Blackett at Riversands Winery it has been prime weather for creating a sweet flavour of port. The tonnes of shiraz and cabernet grapes grown at Riversands Winery have a sweeter taste this season, with the summer heat creating a higher sugar content. GRAPE HAUL: The last two tonnes of shiraz get pulled out of Riversands Winery. Sixty tonnes of grapes have been picked in total, including cabernet sauvignon and ruby cabernet to make our famous St George vintage port (FGP). The hot, dry harvest means high sugar and intense, rich flavours. David Blackett, his team and travelling backpackers finished picking 20tonnes of port grapes throughout three days last week, which go into 2000 cases of the winery's trademark product, F---ing Good Port. 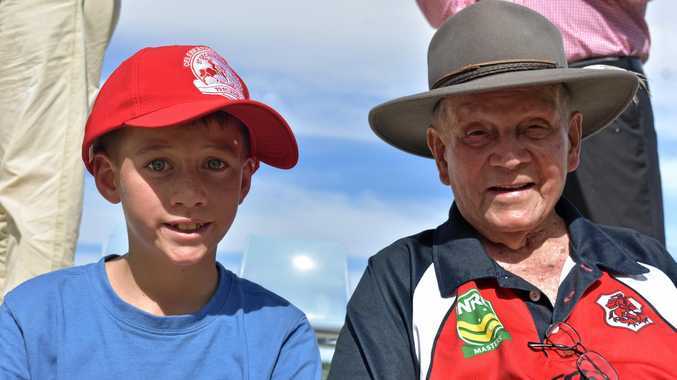 "Altogether we have picked 60 tonnes of wine grapes, and I am happy with the quality of both white and red fruit, which has been clean with no breakdown due to the dry weather,” MrBlackett said. 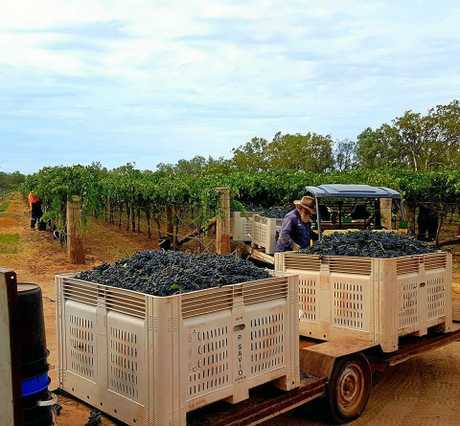 After a monumental effort from permanent and temporary pickers, the grapes have now been trucked to Ballandean Estate at Stanthorpe for processing and maturation. "The 2019 vintage port will be bottled in 2020 and should be a cracker of a drop when it is released in 2021,” Mr Blackett said. Mr Blackett said 80per cent of the picking was done by the winery's Tongan staff but backpackers were also useful. "Backpackers are mostly slower and generally don't last long once the heat amps up,” he said. Travellers Bridgette Flynn from New York and Joli Ooms from the Netherlands helped for a few hours before bowing out to the south west heat. 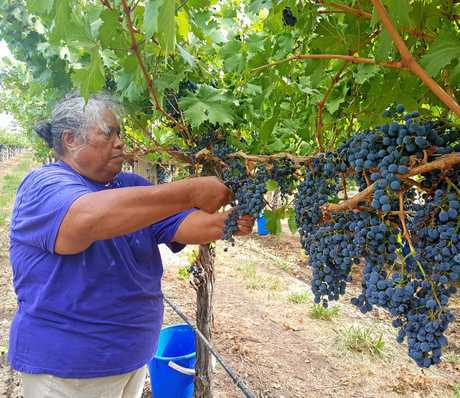 Over the course of the table grape harvest, which takes place throughout summer, MrBlackett said up to 30pickers would come through to help and about six of those were usually backpackers. "By the end of the season they move on, so by the time we get to our port grape harvest, like we did last week, we just had six of our Tongan staff who helped, in addition to a few backpackers who were here for a few hours.